The story revolves around 2 best friends Sunil and Sahil (who are complete techno freaks) and their respective love interests. Sahil is passionately in love with Mayavi at the start. Sunil on the other hand decides to go to Goa for an IT convention where he hopes to sell a new dating app (that they have been working on) to barons of the IT world, his entry card being a Mr. Khanna a venture capitalist from silicon valley. The gorgeous beaches, the golden sunsets are the perfect setting for Sunil to end up falling in love with Kashish (Mr. Khanna’s daughter) who is completely besotted by her. The two of them are hopelessly in love when Sahil arrives in Goa wondering what is keeping Sunil so busy. Sahil arrives on the scene only to find him-self falling head over heels in love with his best friend’s lady! From here on the plot only thickens as Sahil schemes to make Kashish his. Meanwhile Mayavi decides to come to Goa as she can’t bear to be without Sahil but does not want him to know of it. The climax is hilarious with the hide and seek game reaching its peak, as each layer is peeled off and needless to say true to the bard’s comic style, all’s well that ends well! 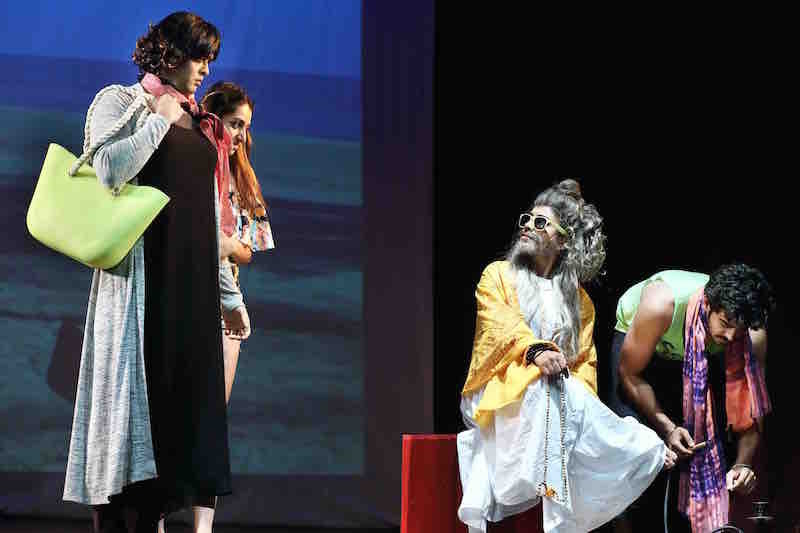 National award winning Playwright, Professor Danish Iqbal who has done the adaptation has meticulously managed to set the plot in an extremely modern and IT savvy India. This made the treatment quite clear from the start itself. As the action moves from any metropolitan city to Goa and has both indoor and outdoor scenes the first challenge came with designing a Set. We decided to use Projection to establish locations. The music and the lights are a part of the storytelling introducing characters and highlighting situations. The acting style is fast paced and energetic in keeping with the light hearted nature of the script. The process has been such wherein actors have themselves discovered nuances while exploring their characters. The motivation for coming up with DDSM was to pay homage to Bard and to commemorate 400th Death anniversary. 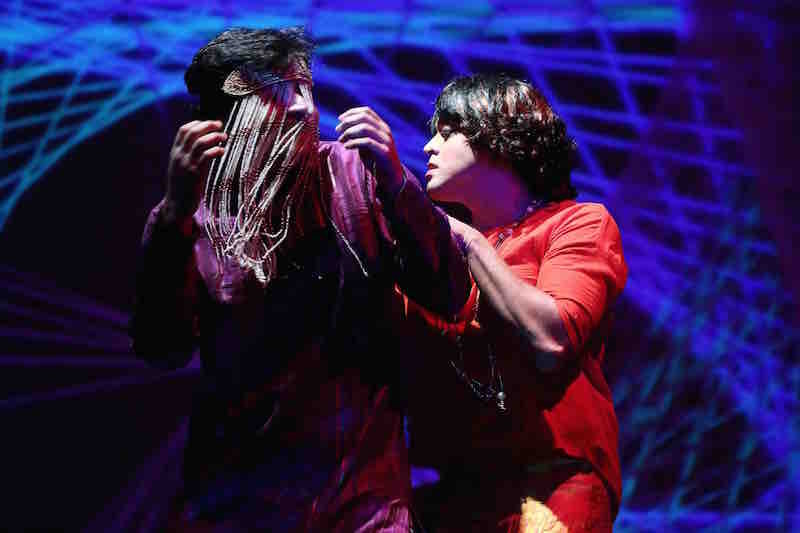 The play opened to full house and audience over flowing on 23rd and 24th of April at India Habitat Centre and Sri Ram Centre, New Delhi and been loved and appreciated both by the audience and critics. 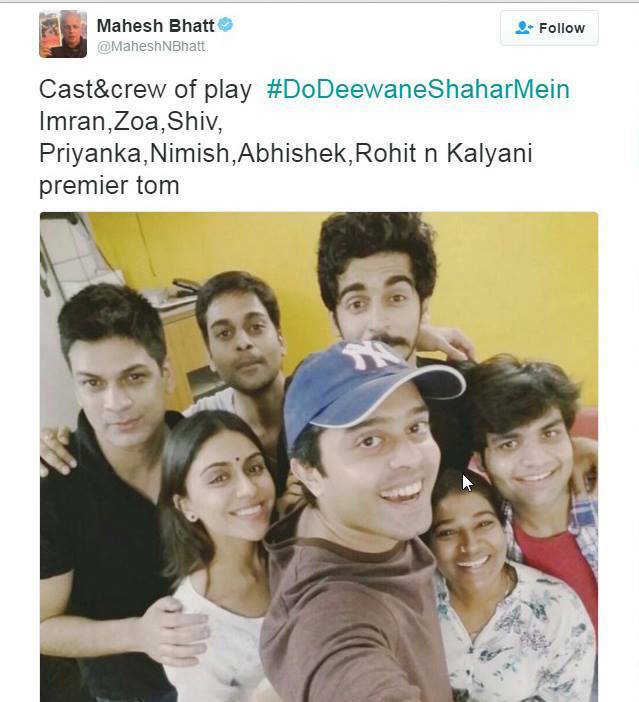 DDSM is presented by veteran filmmaker Mahesh Bhatt. Produced by Filmmaker Rohit Khaitan in association with Moonlight Theatre Society and Directed by experienced Theatre Director and National School of Drama graduate (2000 batch) Kalyani Hiwale. “Shakespeare has withstood the passage of time. He stood out owing to his relevance through the generations. Not only do his plays of political conspiracy deliver foresight in terms of modern day ambition and lust for power, even his social comedies are of significance as in its core is stated the truth about propriety and its rootedness. Bhatt wants it to be a part of the ongoing celebration of 400th death anniversary of Shakespeare, “So, I want this play to be big,” adds Bhatt.